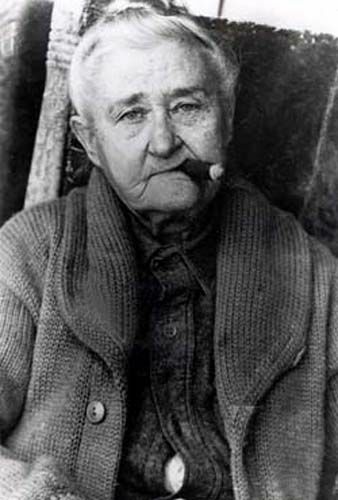 Alice Ivers Tubbs; aka Poker Alice (1851-1930) – Perhaps the best known female poker player in the Old West, Alice Ivers actually hailed from England. Born on February 17, 1851, in Devonshire, she was the daughter of a conservative schoolmaster who moved the family to the United States when she was still a small girl. First settling in Virginia, Alice attended an elite boarding school for young women until the family moved again in her teenage years, to the silver rush in Leadville, Colorado. While there, Alice met a mining engineer by the name of Frank Duffield and the two married when she was twenty. Gambling was a way of life in the many mining camps of the Old West and when Frank, an enthusiastic player, visited the many gambling halls in Leadville, young Alice went along with him rather than stay home alone. At first, the pretty young girl stood quietly behind her husband, simply watching the play. However, a quick study, it wasn’t long before she was sitting in on the games, quickly demonstrating proficiency for poker and faro. A few years after their marriage, Alice’s husband, who worked as a mining engineer, was killed in an explosion and she was left alone with no means of support. With her education, she might have taught school; however, even though the mining camp flourishing with some 35,000 residents, it didn’t have a school. The few remaining jobs available to women in a mining camp did not appeal to Alice and she soon decided to try to make a living with her gambling skills. Though she preferred the game of poker, she also learned to deal and play Faro and was soon in high demand, both as a player and a dealer. At this time, Alice was a petite 5’4” beauty, with blue eyes and lush brown hair. A “lady” in a gambling hall that wasn’t of the “soiled dove” variety was rare in the Old West and bedecked in the latest fashions, she was a sight for the sore eyes of many a miner. Traveling from one mining camp to another, the talented young beauty soon acquired the nickname “Poker Alice.” In addition to playing the game, she often worked as a dealer, in cities all over Colorado including Alamosa, Central City, Georgetown, and Trinidad. As time went on, Alice began to puff on large black cigars, while still in her fashionable frilly dresses; however, she never gambled on Sundays because of her religious beliefs. She also carried a .38 revolver and wasn’t afraid to use it. As her reputation grew throughout the west, she always found willing players and she attracted men looking for a challenge. As such, she was quickly welcomed in gambling halls because the crowd she drew was good for business. Alice soon left Colorado and made her way to Silver City, New Mexico, where she broke the bank at the Gold Dust Gambling House, winning some $6,000. Sometime later, she made a trip to New York City, which she often did after a large win, to replenish her wardrobe of fashionable clothing. 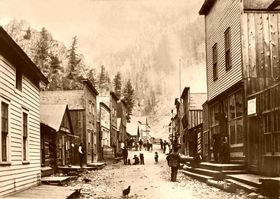 Afterward, she returned to Creede, Colorado, where she went to work as a dealer in Bob Ford’s saloon – the very same Bob Ford who had earlier killed Jesse James. Alice eventually made her way to Deadwood, South Dakota around 1890. While there, she met a man named Warren G. Tubbs, who worked as a housepainter in Sturgis, but sidelined as a dealer and gambler. Though she routinely beat Tubbs at the gaming tables, he was taken with her and the two began to see each other outside of the gambling halls. On one occasion when a drunken miner threatened Tubbs with a knife, Alice pulled out her .38 and put a bullet into the miner’s arm. Tubbs and Alice eventually married and the couple would have seven children. A painter by trade, Tubbs, along with Alice’s gambling profits, supported the family. The couple eventually moved out of Deadwood, where they homesteaded a ranch near Sturgis on the Moreau River. During this time, Alice significantly reduced the amount of time spent in gaming houses as she helped with the ranch and raised her children. But, Alice was doomed to be luckier at cards than at love. When Tubbs was diagnosed with tuberculosis, she was determined to stay by his side and nurse him back to health. Tubbs; however, lost the fight and died of pneumonia in the winter of 1910. 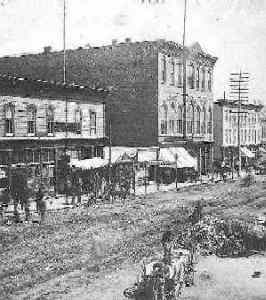 Alice then loaded him into a horse-drawn wagon to take his body to Sturgis for burial. At least one legend says she had to pawn her wedding ring to pay for the funeral and afterward, went to a gambling parlor to earn the money to get her ring back. Alice would later say that the time spent on the ranch were some of the happiest days of her life and that during those years, she didn’t miss the saloons and gambling halls, but liked the peace and quiet of the ranch. However, after Tubbs’ death, she was required to once again make a living. She then hired a man named George Huckert to take care of the homestead and moved to Sturgis to earn her way. 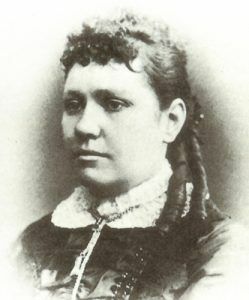 Huckert was enamored with Alice and proposed marriage to her several times. Finally, Alice married him, saying flippantly, “I owed him so much in back wages; I figured it would be cheaper to marry him than pay him off. So I did.” But the marriage would be short, as Alice found herself widowed once again when Huckert died in 1913. Sometime later, during Prohibition, Alice opened a saloon called “Poker’s Palace” between Sturgis and Fort Meade that provided not only gambling and liquor but also “women” who serviced the customers. While here, a drunken soldier began to cause havoc in the saloon, destroying the furniture, and causing a ruckus. Alice responded by pulling her .38 and shooting the man. While in jail awaiting trial, she calmly smoked cigars and read the Bible. She was acquitted on grounds of self-defense, but her saloon was shut down in the meantime. She continued to run a “house” of ill-repute in Sturgis during her later years and was often arrested for drunkenness and keeping a disorderly house. Though she paid her fines, she continued to operate the business until she was finally arrested for repeated convictions of running a brothel and sentenced to prison. However, Alice, who 75 years old at the time, was pardoned by the governor. At the age of 79, she underwent a gall bladder operation in Rapid City but died of complications on February 27, 1930. She was buried at St. Aloysius Cemetery in Sturgis, South Dakota.